I have to say I was a little disappointed. I found them a little dry and couldn’t really taste the chocolate or orange in them. 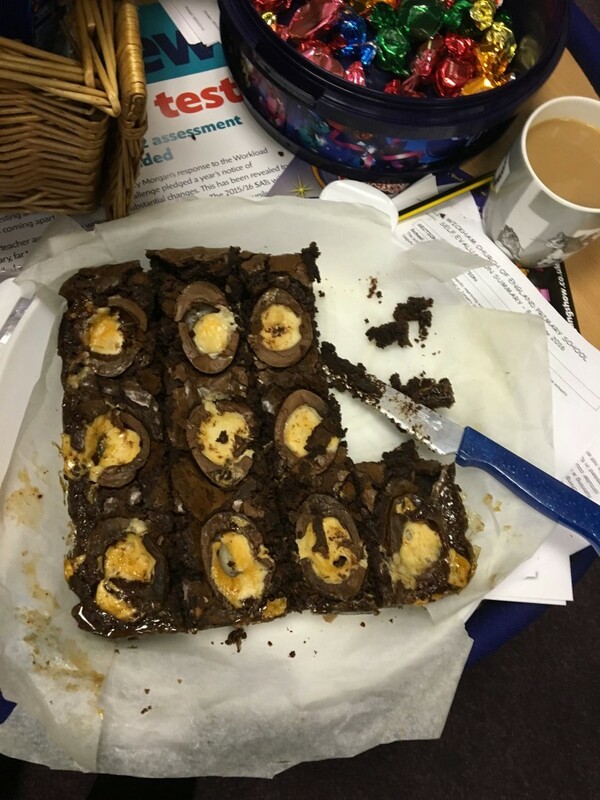 My work colleagues said they could taste the orange but concurred that they weren’t really chocolatey. I did use some cheap cocoa powder rather than the good-quality cocoa powder specified in the recipe so perhaps that effected the taste. I think if I was to make them again I would also perhaps add a small drizzle of orange essence to ramp up the orange flavour. I was also disappointed at my piping work. I used a plastic bag with the end snipped off rather than a piping bag and ended up with some very messy crosses. I have definitely learnt a valuable lesson and will use a piping bag next time! 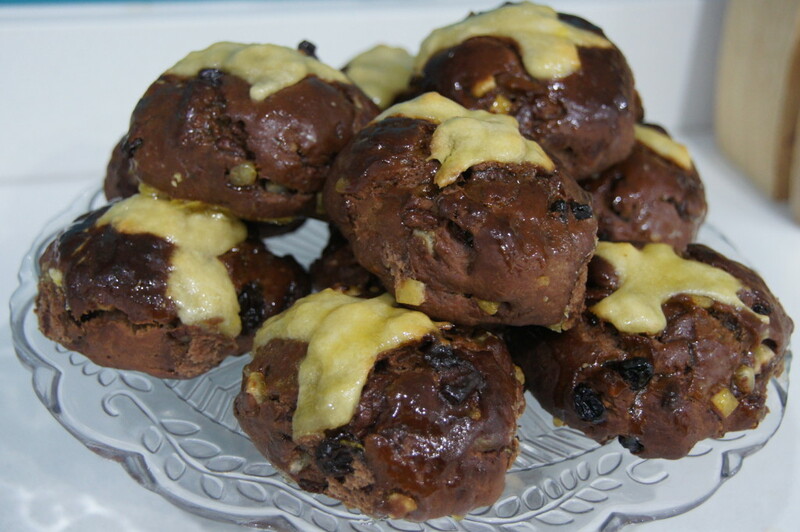 This recipe makes 12 hot cross buns. You will need to allow time for the dough and buns to prove so remember to factor this in to your plans. You can freeze the cooked buns. Freeze them in a sealed container between layers of baking paper. To serve, cover loosely in foil and warm through in a low oven. 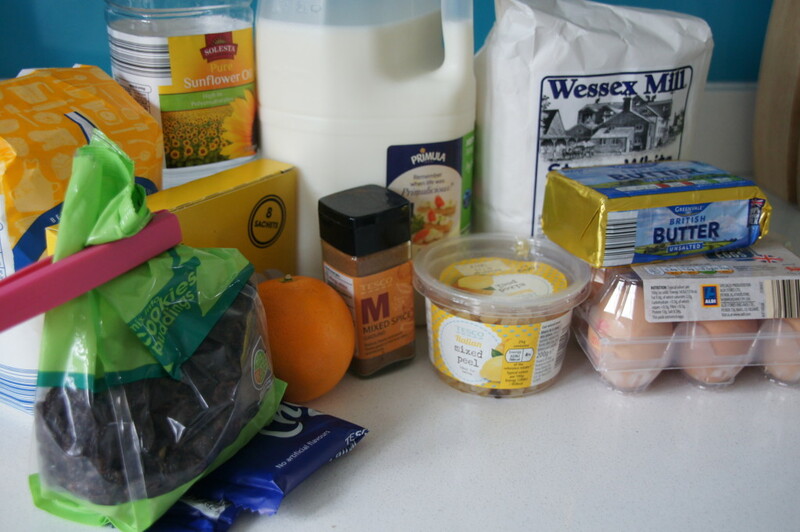 1) Sift 400g of the flour, the cocoa powder, mixed spice and salt into a bowl. Add the butter and with your fingertips, rub together until the mix resembles fine breadcrumbs. 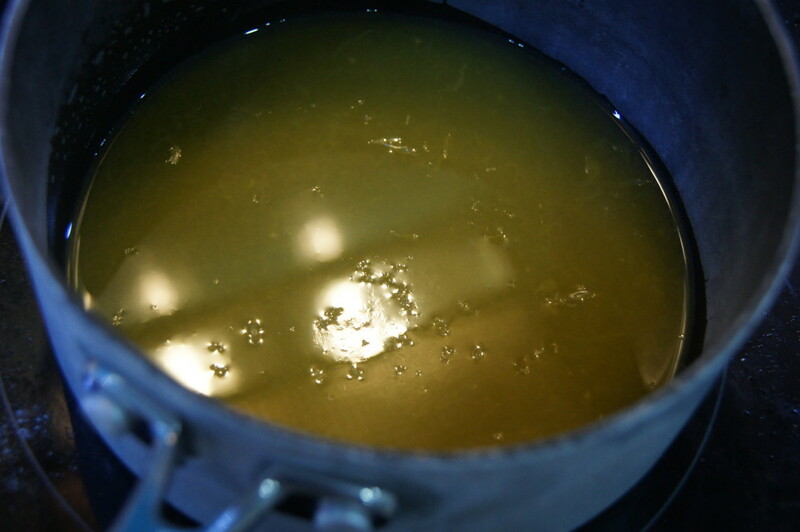 2) Stir through the sugar and dried yeast, then form a well in the centre. Whisk the egg and milk together and pour into the well. Quickly mix with a wooden spoon to incorporate. 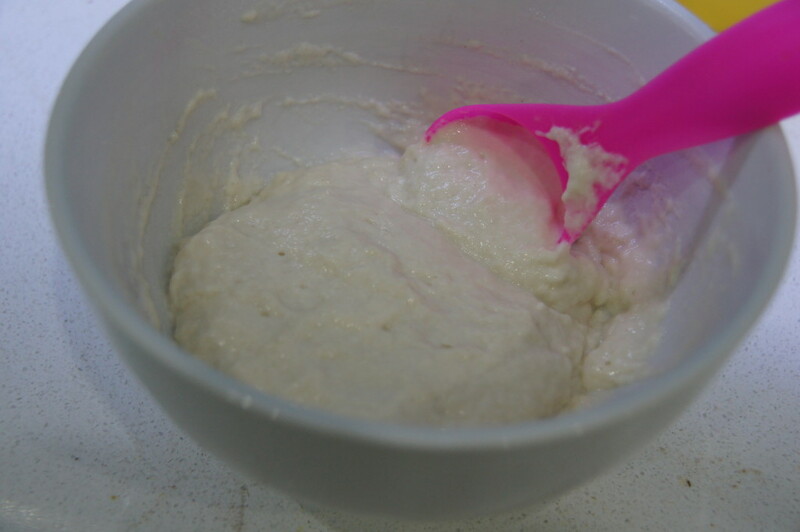 3) Knead on a lightly floured surface for 10 minutes until soft and silky. Shape into a ball. Put in a large, lightly oiled bowl, covered with cling film. Leave for 1½ hours in a warm place, loosely covered with greased cling film, until doubled in size. 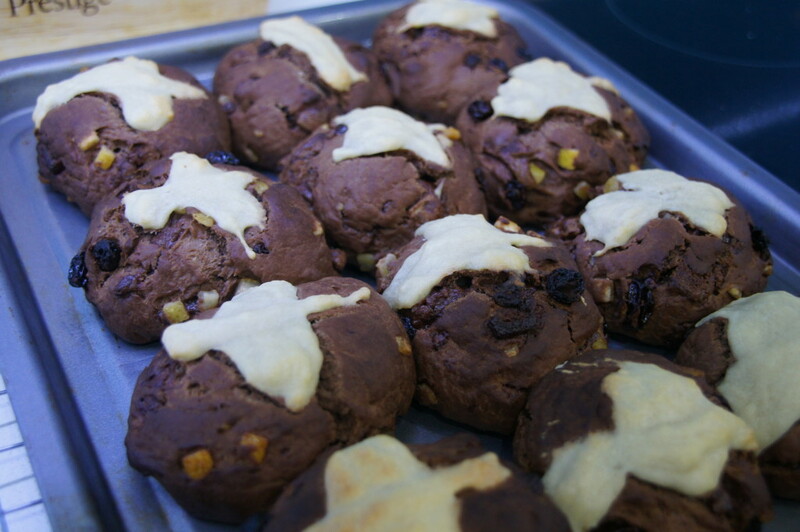 4) Remove the risen dough to a lightly floured surface, flatten slightly, then knead in the raisins (if using), chocolate, zest and candied peel, until everything is evenly distributed. 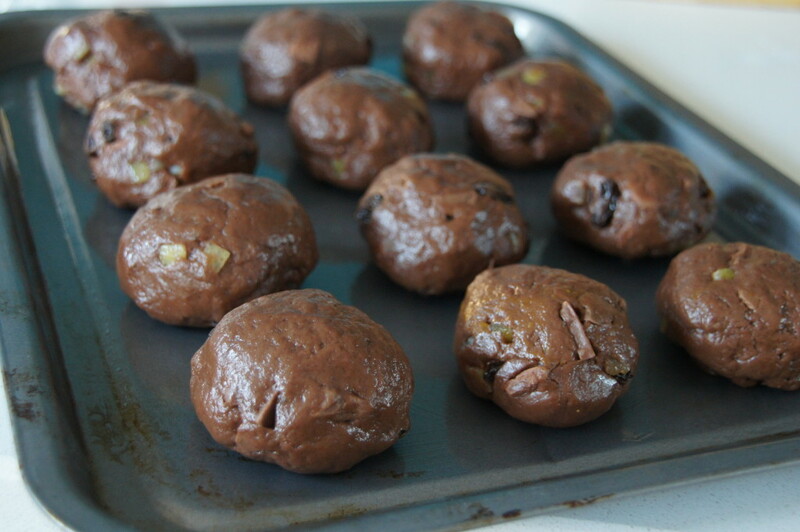 5) Divide into 12 equal pieces (about 100g each) and shape into smooth-surfaced buns. Place in rows on a lightly oiled baking tray, leaving a little gap between each. Cover loosely with lightly oiled cling film and leave to prove in a warm place for 1 hour or until doubled in size again. The buns should now be touching each other. Preheat the oven to 200°C/fan 180°C/Gas 6. 6) With a serrated knife, score the tops of the buns with a cross. Mix the remaining 75g flour with 1 tablespoon oil and 5 tablespoons cold water to a smooth paste, then spoon into a piping bag (or a small, clear, sturdy plastic bag with the corner snipped off). 7) Carefully pipe the mixture in lines along the knife scores on the buns, going first one way, then the other, using a knife to stop the flow. Bake in the oven for 20 minutes until risen and firm to the touch. 8) Meanwhile, put the remaining sugar into a pan with the orange juice. Put over a low heat until it has dissolved. Bring to the boil and bubble for 2 minutes until thickened. 9) Remove the buns from the oven and turn out onto a rack. Glaze with the syrup and serve warm or cold. Oh so miss your baking samples. 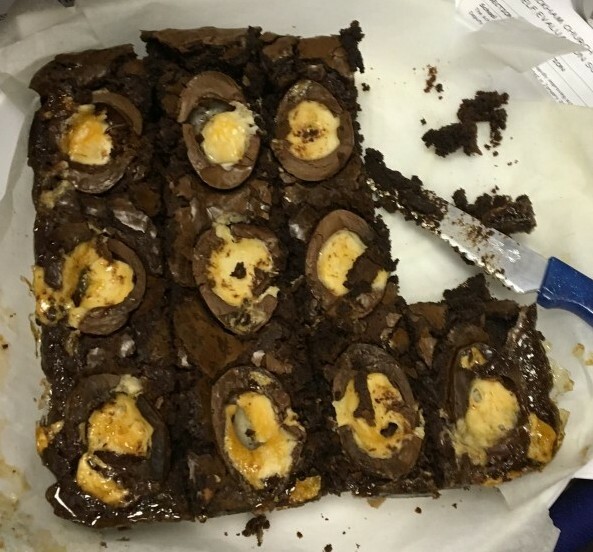 Just finished a Caburys crime egg cheesecake ready for tomorrow. The only disaster was when it said colour white chocolate yellow like toke to drizzle over with milk chocolate and white chocolate. It set when I added the yellow gel colouring so I abandoned the yellow chocolate! Just have to wait until tomorrow to try it. HAPPY EASTER!